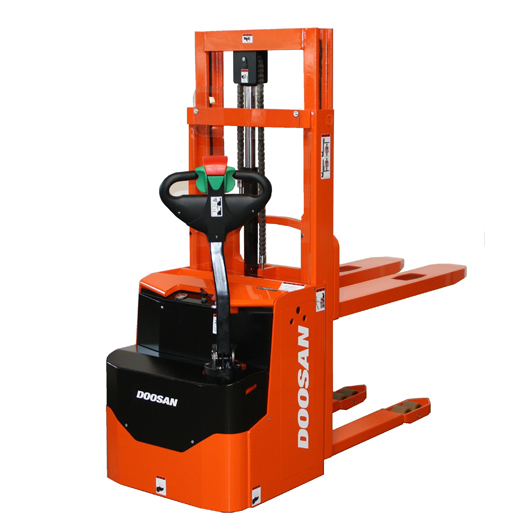 Doosan Forklifts & Lift Trucks Industrial | KMH Systems, Inc.
Doosan produces over 100 models of forklifts including engine and electric forklift trucks, reach trucks and warehouse equipments, covering most of material handling equipments range. All of Doosan products are focused on reliability, operator convenience and comfort as well as powerful performance, enhancing performance and profitability. 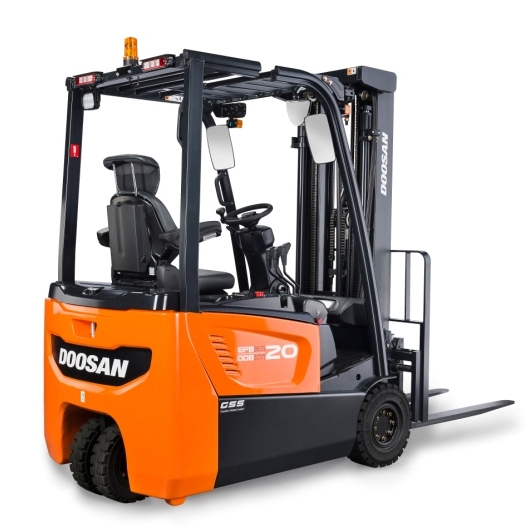 Doosan Sit-down Electric Forklifts are Compact forklifts that provide the best combination of performance, efficiency, and value on the market. Doosan’s AC Drive and Hydraulic technology on this family of trucks enhances your investment in equipment, personnel, and efficiency. 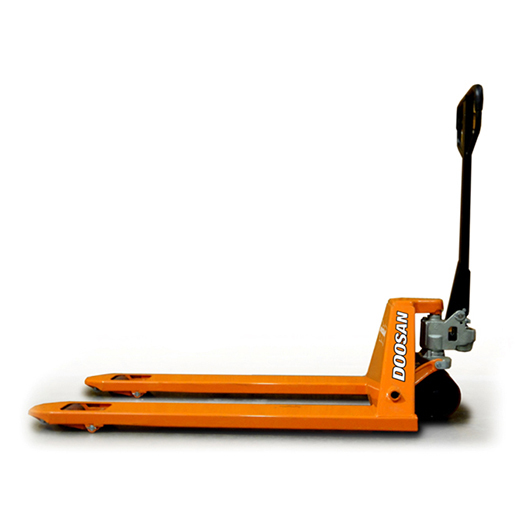 Doosan Walkie Pallet Trucks are highly efficient and reliable forklifts with productivity enhanced features. Doosan’s BW-7 Series is packaged to take on loads from 3,300 lbs. to 6,500 lbs. and come equipped with some of the greatest standard features available in the forklift industry to date. Doosan Cushion Tire Lift Trucks offer the ultimate combination of power and performance, reliability, operator comfort, and economy. This series of trucks provides a well balanced mix of enhanced technology, operator comfort refinements, performance efficiencies and serviceability advances which will help to increase productivity and lower your operating costs. 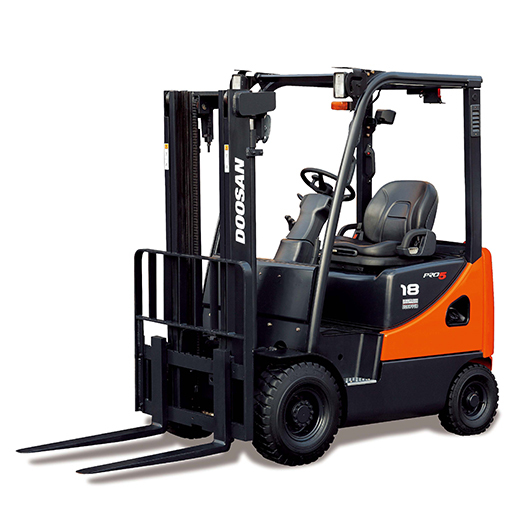 Doosan Pneumatic Lift Trucks are robust and durable forklifts to handle the toughest tasks in the most demanding of applications with speed, power, and efficiency. These trucks offer the ultimate combination of power and performance, reliability, operator comfort, and economy. Meet Doosan’s NEW HPT28, our durable 5,500 lb capacity unit developed to meet your warehousing needs. 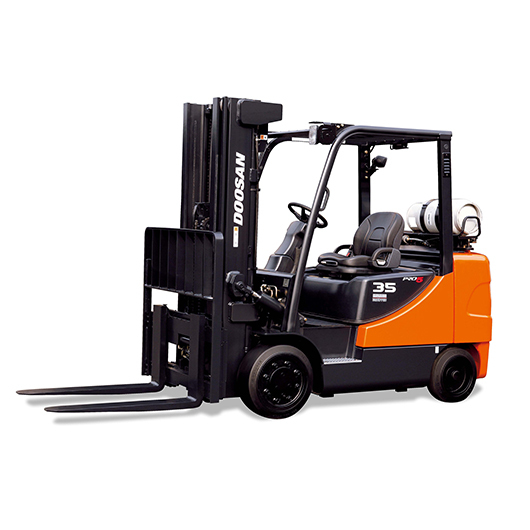 Highly efficient and reliable forklifts with productivity enhanced features.